The Sea View Bungalows are well-loved for its serenity and tranquil. 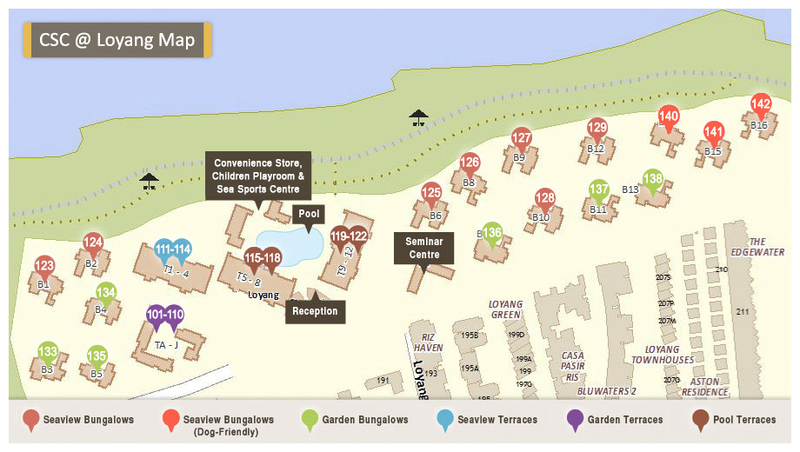 There are 9 Sea View Bungalows, labelled as Bungalow 2, 6, 8, 9, 10, 12. Each unit has 4 bedrooms with attached bathrooms, living room, dining area, fully-equipped kitchen and sheltered BBQ pits. Wheelchair-friendly features are equipped in Bungalow 8 and 9. The Sea View Bungalows are well-loved for its serenity and tranquil. 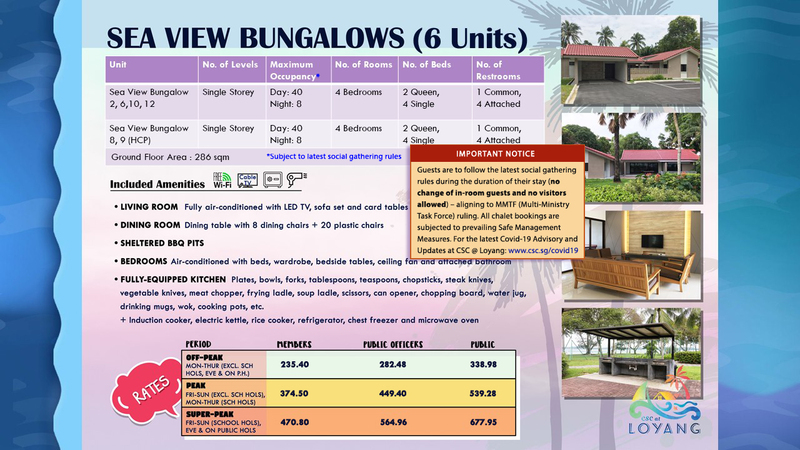 There are 6 Sea View Bungalows, labelled as Bungalow 2, 6, 8, 9, 10, 12.